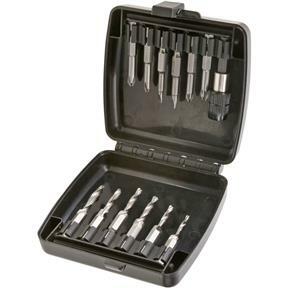 Drill, Tap and Countersink in one step with this high speed steel 6-piece bit set. 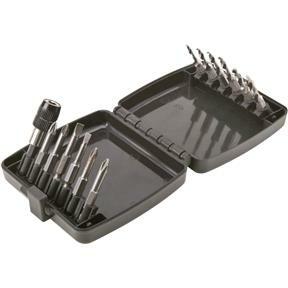 This set also includes straight and Phillips screwdriver bits and a quick change chuck. Tap sizes include: 6-32 UNC, 8-32 UNC, 10-32 UNF, 10-24 UNC, 12-24 UNC and 1/4-20 UNC. Fits 1/4" drill chucks and larger.